We look forward to a continued growth of strength, not only in numbers but in our individual and shared faith journeys. We look for a strengthening of current ministries and the establishment of new ones as we reach out to the Frankston community. We look, through the guidance of the Holy Spirit, to continue spreading the good news of the Gospel. This is a quiet, contemplative service. 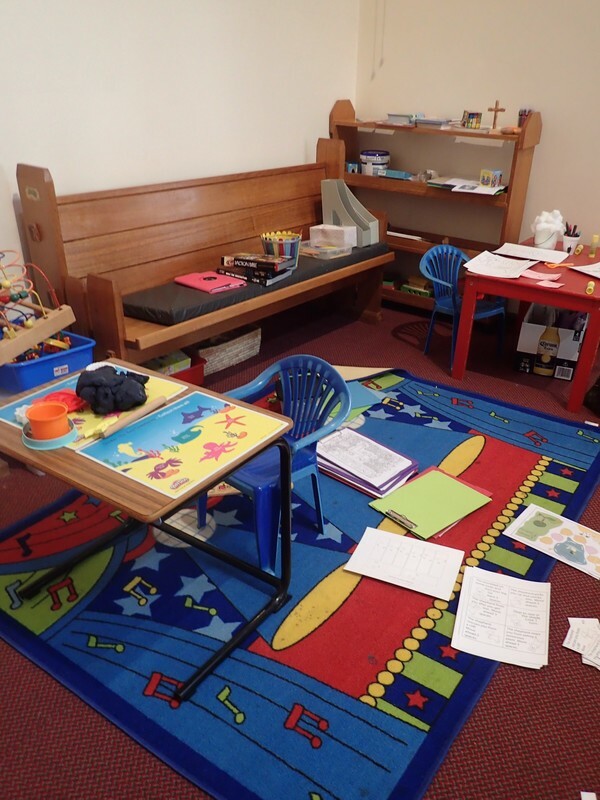 Messy Church is an outreach program reaching out to those in our community who are looking for an alternative to the more traditional services. It is for all the family, NOT JUST THE CHILDREN. Comprises of a creativity segment, worship session and a free meal with family members participating together in each segment. This is Church for families - and it ends with a meal together. Cnr Bay and High Streets, Frankston. From babyhood through to pre-schoolers. Activities include water and sand play, painting, craft, lots of outdoor activities, music and story time. The children have established a vegetable garden and enjoy watering and caring for the plants and then picking the vegetables for use in cooking activities or to take home. Monday mornings during school term 9.30am. -11am. We meet with the Playgroup for the first 45 minutes, followed by lunch (BYO) and a time of fun / fellowship while supporting marriage and family life in our local community and worldwide. Small maintenance jobs and tidying up.